This stove is the latest creation of years of development. The V6 Tubular from Vesta contains all the trusted trademark technology that Vesta Ironworks have become known for. The Airblade airwash system has been adapted from the original stove range and added to the tubular so that the glass is kept clear of soot and residue. The accent stainless steel controls allow for simple controllability of the stove with no extra tools or gloves. 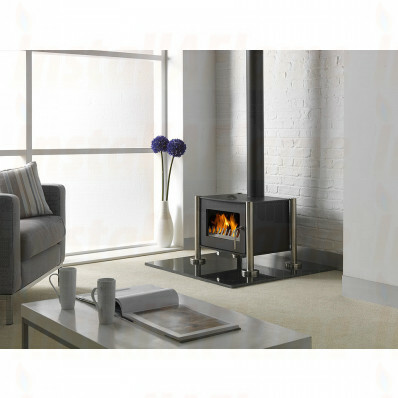 The polished stainless steel accent legs on the stove contain a levelling feature so the stove can sit level on any choice of hearth. 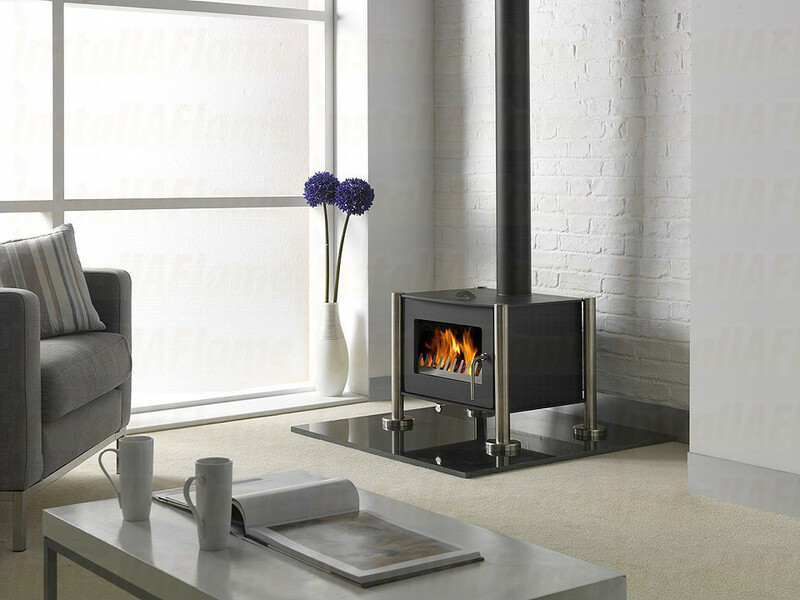 This high specification woodburner contains a built-in riddling grate and a functional hidden ash pan. The stove is available with either colour matched tubular posts or polished stainless steel (See Photo) at no extra cost. The innovative cool touch handle means loading the fire is quick and can be done without tools ensuring that the rope seals are under optimal tension at all times. With a modest output of 6KW this stove is capable of heating 90 cubic meters. Available in a huge range of colours and accessories such as a log box stand; Vesta stoves can be finished to fit in with your taste.